So, you know how our favorite thing in the world right now seems to be Qualcomm’s Quick Charge 2.0? You may remember how we told you that you could forget wireless charging because your next phone needed Turbo or Fast Charging instead. Well, we’re sorry to say that we were wrong and you don’t actually need Quick Charge 2.0. No, instead, you need Qualcomm’s Quick Charge 3.0. That’s right, Qualcomm has already outdone it’s own brilliance with QC 2.0 and announced QC 3.0 that will be featured in its next line of Snapdragon processors, including the Snapdragon 820. So what’s new in Quick Charge 3.0 that makes it better than Quick Charge 2.0? For one, it uses something called Intelligent Negotiation for Optimum Voltage (INOV), which is a “new algorithm developed by Qualcomm Technologies, designed to allow portable devices the ability to determine what power level to request at any point in time for optimum power transfer.” Not impressed by that language? How does 0-80% charge in 35 minutes sound? 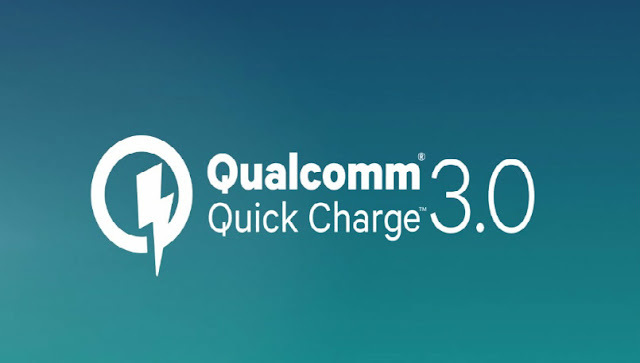 Qualcomm also states that QC 3.0 is up to 38% more efficient than QC 2.0, but it also has “additional steps to help protect battery cycle life.” QC 3.0 helps improve fast charging by up to 27% and/or reduces power dissipation by up to 45% when compared to QC 2.0 as well. Quick Charge 3.0 will be featured “as an option” on Snapdragon 820, 620, 618, 617, and 430 and will arrive in phones next year. So, 2016, your phone will have Quick Charge 3.0. Pretty damn good stuff, Qualcomm.